Jenny Jiang, Liliana Kaczmarczyk, Monika Domanska, and Ursula Bartlewska are the clinic’s Registered Massage Therapists. All are equally and uniquely skilled and committed to helping their patients restore and maintain optimal health and function by providing highly effective therapeutic massage. Due to a rigorous training program and hours of continuous education, each therapist is trained and knowledgeable in a variety of techniques from providing Deep Therapeutic Massage for sports and auto injuries, or Swedish and Hot Stone Massage therapy to help you forget about the day to day stresses of life. Pleasant in personality, skilled in technique, and educated in healthcare, we are sure your massages with us will be positive ones. Massage therapy is a non-invasive, whole body approach that uses a variety of techniques to promote physical and psychological healing by treating the body’s soft tissue (e.g. muscles, connective tissue, tendons, ligaments, joints) and by alleviating emotional stress and tension. The various techniques that make up massage therapy are effective in breaking up scar tissue; relaxing stiff muscles; releasing tension in tight muscles; relieving tired and aching muscles; increasing flexibility and range of motion; and promoting the circulation of blood, oxygen, and nutrients through injured tissue. 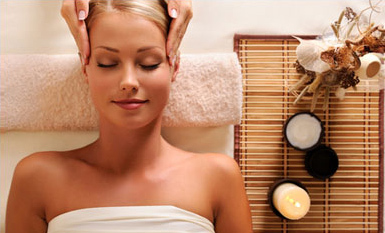 Massage techniques can also ease headaches, help manage pain, diminish chronic pain, soothe the nervous system, reduce neck and back pain, treat numbness in the arms and legs, and promote healing of injuries. Clients of massage say they’ve experienced improvement in a number of conditions, including arthritis, bursitis, sprains and strains, whiplash, asthma, fatigue, premenstrual syndrome, and low back pain. Massage therapy is also useful in treating women during and following pregnancy, and in helping patients recover from sports and motor vehicle injuries. As well, it can be an integral part of post-surgery care. Furthermore, when stress, tension, and depression are reduced through massage therapy, patients can experience lower blood pressure and heart rate, a strengthened immune system, reduced tension headaches, improved concentration, and a more restful sleep.